Administrative Staff | PT-RN CARE, INC. Your Physical Therapist is a licensed Physical Therapist in the State of California and the Philippines & is also An active athlete, triathlete/ironman, ultrarunner, ultracyclist, marathoner. He has been in the physical therapy profession since 1999. As a member of the American Physical Therapist Association (A.P.T.A) California Chapter he steadfastly practices his profession in accordance to the Physical Therapist code of Ethics. He’s seen by several athletes from varsity players, weekend warriors, non-professional to professional athletes from all fields of sports. Brian as most of his patients call him has wide experience and understanding in the field of Physical Rehabilitation of which he had triumphantly earned clients trust and confidence in their road to recovery and independency. Likewise, other Health Care Providers were able to recognize his expertise, professionalism & empathy to clients. Vice President. Director of Nursing.Our registered Nurse is currently working as Nursing Supervisor in one of the Los Angeles based Home Health Agency. She is a licensed nurse in the state of California and in the Philippines and has been practicing as a nurse since 1998. During Nursing school, She was consistent Dean’s Lister during college days. Furthermore, her hospital exposure were at University of the East Ramon Magsaysay Medical Center, Philippines orthopedic Center, San Lazaro Hospital, National Center for Metal Health. BS Chemistry in educational background, she has managed her 2 businesses for more than 17 years handling her staff in the field of processed food repacking, importing and exporting them to different countries and multiple clienteles. Currently she is the company’s Office Manager that handles payroll, human resource, collections and home health staffing. She currently handles more than 200 home health agencies that refers home health patients to us. 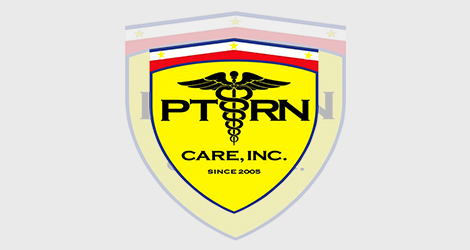 Our PT-RN Care Inc., Corporate Board Secretary is a State of California Licensed Administrator. He is also connected with People’s Care. During his initial year in Southern California, Chito’s marketing expertise was utilized by the two Los Angeles based companies they were as follows: Job Start International as Marketing Specialist, Taliba News Paper as Development Manager and Abacus Freight Forwarder as Cargo Specialist. Moreover, Chito has been doing some consultancy work in the field of Business Preparation, Management System and Marketing Programs. Finally, he is an active member of the City on the Hill Christian Community in Los Angeles.